Robinson shines best at creating and developing realistic, believable characters and playing them against each other like a master puppeteer. ​David Myles Robinson has always had a passion for writing. During the late 1960’s and early 1970’s, while in college, Robinson worked as a free-lance writer for several magazines and was a staff writer for a weekly minority newspaper in Pasadena, California, called The Pasadena Eagle. However, as he himself admits, upon graduating from San Francisco State University, he decided against the ‘starving writer’ route and went to law school, at the University of San Francisco School of Law. It was there that he met his wife, Marcia Waldorf. After graduating from law school in 1975, the two moved to Honolulu, Hawaii and began practicing law. Robinson became a trial lawyer, specializing in personal injury and workers’ compensation law. Waldorf started at the Public Defender’s office and eventually became a District Court and ultimately a Circuit Court judge. Upon retiring in 2010, Robinson completed his first novel, Unplayable Lie, which was published by BluewaterPress LLC, in 2010. 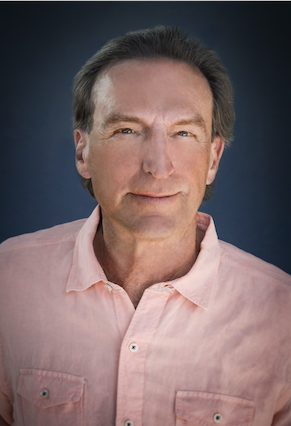 His second novel, Tropical Lies, was published in 2014 and is the first of the Pancho McMartin legal thrillers, set in Honolulu, HI. Robinson’s third novel (his second Pancho McMartin book), Tropical Judgments, was published in July, 2015, also by BluewaterPress LLC. Robinson and Waldorf divided their time between Honolulu and their second home in Taos, NM for seven years before finally deciding to see what it’s like to be full-time mainlanders again. They now live in Taos, where Robinson can pursue his non-writing passions of golf, ski, and travel. Pancho McMartin is back! After one of Hawaii’s most beloved celebrities is murdered, Pancho gets an unexpected call from Judge Makena, the administrative judge. The good judge, short of court appointed attorneys, wants Pancho to represent a young, homeless, black man, Jackson Steele, accused of the murder.